Today The Moon, Tomorrow The Sun is a brilliant quartet consisting of two men and two women. The women leading the vocals is obviously a good choice, the voice quality is beautiful yet ominous. Lauren Gibson is whom we can give the credit for that with Micah Silverman harmonizing to help the menacing feeling. The drumming is upbeat and poppy, but excellent and creative by Jeremy Cole, while Cregg Gibson plays hard guitar riffs that are energetic, skillful and entertaining. This quartet is artistic with an appropriate name for their band, and an even more appropriate name for the album: Wildfire! The album kicks off with an enchanting but haunting intro that leads into a dark pop/rock song mixed with 80’s style electronics. “We were wild” is yet another example of TTMTTS’ ability to project their message in the title along with a description of what you are experiencing. In this brilliant track you are experiencing that capricious wildfire we see every year in the summer. Burning fast and hot before it appears to slow down and lose momentum, only to pickup speed again and reek havoc. This track is musically that wildfire, and suggestively the wildfire inside the common youth. “Right Left Right” brings to mind a mixture between Depeche Mode and Fly Leaf. Dark and energetic, mixing with 80’s synths and poppy drum beats. It is definitely dance worthy and rhythmic with vast perception changes ranging from light-hearted and optimistic to outrage and confusion. “Kairos” is right on board with that theme of ominous optimism. Taking the listener on incredible journeys that mirror our own crazy lives somehow. The electronic effects used in both songs are magnificent and are vital to atmosphere created. The last track is quite different in that it seems to be very mellow throughout. No roller coaster rides taking you up and down, and upside down. This ride is more like the train at the zoo that exhibits everything the zoo has to offer. This is not to take away from the creativity of the group, because “Keep Quiet” is an excellent song to end an equally excellent album. Today The Moon, Tomorrow The Sun created an album that will generate fans worldwide. Artistically they may be amongst the top of indie performers. Their live shows are entertaining and fun, and prove to be quality performers. 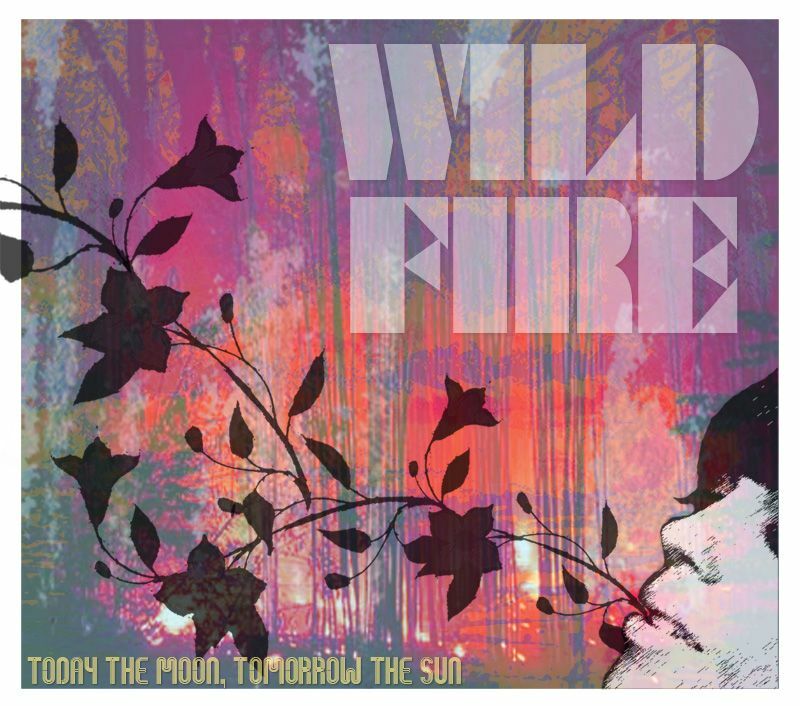 This band is in it for the long haul, and Wildfire is a must have album. Check it out; this could only be the tip of the iceberg for TTMTTS.